Gift Ideas for Homesteaders | 12 Gifts All Under $25! Gift Ideas for Homesteaders | Under $25! Today is December the 17th and I’m admitting to you that I JUST started Christmas shopping! I’m going to make myself and feel better saying I’m not the only one who hasn’t even bought one single gift and move on with my life. If looking for that perfect gift idea for homesteaders, without spending loads of money, then these gifts under $25 will be perfect for you! Okay, hear me out here. This IS NOT a gag gift idea for the homesteaders in your life. I use a fanny pack almost every day on the homesteader! I put my cell phone in it, screws, shove gloves in the side, etc. Since I’m getting better at sewing, I’m thinking of adding onto the sides by putting a spot for my water bottle and a proper spot for tools. It will be like a fanny pack turned tool belt but WAY cooler…and more stylish. Plus, there are SO MANY cute fanny packs on Amazon, you could get ones like this pineapple pack or a solid color like this low key black pack! There’s one for everyone, ain’t it grand? This was one of the first books my mom got me when I started mentioning canning. Although I haven’t done any preserving yet, I have made some jam. Preserving food is on my bucket list for 2019! This book is one of my favorites and will be so helpful once I start. If you have a homesteader in your life, you can buy this gift idea for them in paperback under $25! The Ball Complete Book of Home Preserving is a must have in any homesteaders’ home. I’ve mentioned this book in my post “Four Books for the Homesteader” and I’ll mention it again here because I’ve referred back to this book multiple times throughout my homesteading journey. Pretty much all the information you need is right here in this book! My mother-in-law bought it for my husband and I while we were working on closing on our homestead. I won’t admit, there is so much information and I knew so much of NOTHING that it was quite overwhelming at first, but also very exciting. This book will be a homesteader dream book the moment they find it, and a great gift idea. You can buy it used under $20 or new around $21. It’s so good I HAD to add it to this list! These might be a gift to myself because I forgot to put them on the list! OOPS. I met someone with a pair of these gloves and she was ripping thorn bushes up out of the ground like it was no big deal at all. If you have citrus trees, or pesky little blackberry bushes that never produce but keep growing back (DARN THOSE BRAMBLES! ), these gloves are the gloves for you…and me! 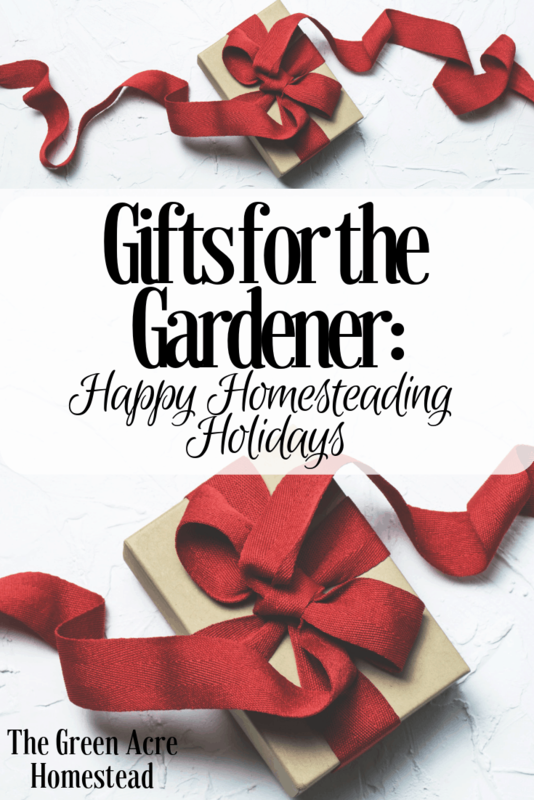 When it comes to gift ideas for the homesteaders, you can’t really go wrong with something like this. Okay, Y’all…LOOK AT THESE SHOES! If you have chickens, you should have these shoes. I have to admit that I don’t have these…yet. But the reviews are so great and I’m probably going to add them to my holiday list. Or maybe I’ll make up some reason to #treatyoself (“yoself” being myself, really) and buy them for the New Year. Just to prove that these shoes are super trendy to all us chicken lovers, I’ll leave this picture right here and move right along. I do have this set and I love it. It comes with everything I’m going to need to start canning, except the mason jars of course. The best things about this set, other than having all the tools you need, is it is under $15! You can use this kit in a regular stock pot or a pressure cooker and it will hold up just nicely. Yet another decent gift idea for the homesteader in your life. If you follow me on social media you definitely know that I use Mrs. Meyers soap in my home! This soap is so wonderful for so many reasons. It soap contains plant-derived cleaning ingredients, is biodegradable, and cruelty-free! With the number of times I wash my hands during the day, it’s the only soap I really want to use. Our water is precious and every homesteader knows that (I hope), of course, we should all know that by now. I think it’s safe to say you’re loving the earth a little more by using this soap. You can sign up for a monthly purchase through Amazon and their scents are so yummy! I currently have their holiday scents Peppermint and Iowa Pine in my kitchen. You can also check out the dish soap! These stamps are so cute! If I ever were to expand my operation I would definitely get one of these. You can customize this stamp, use different colored inks, and use it over and over again making it a really great gift idea for the homesteaders in your life. Better yet, you can pair the stamp with some biodegradable egg cartons and make it a package gift! You can never go wrong with seeds, Y’all. I buy all my seeds from Baker Creek Heirloom Seeds and I swear by them! I’m not an affiliate or a rep, just a lover of the company. They’re honest and their seeds are really the best quality. Also, their seed packets are super great and look vintage…not that it helps the seeds grow any better or worse but it’s a nice perk if you like the way things look! You might think this earphones suggestion is odd but if your fellow homesteader is like me, they listen to music while working, making this a great gift idea. Also, I’m constantly lending mine to my husband or losing them or using them too much. I’m convinced you can’t have too many pairs of earbuds! They’re small and fit in the smallest of places. What’s even better is they’re multi-use! PERFECTO. 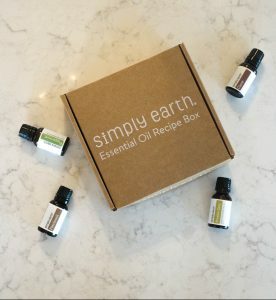 I mentioned Simply Earth in my “Zero Waste Stocking Stuffer” post and I’m going to do it again because it is a really wonderful company and I’m so glad to have found them! Simply Earth is a small, family-owned company producing 100% pure, honest, affordable essential oils for your home! They also have a free “Essential Oils for Beginners” eBook you can have printed! Download it for free and choose a printing company, such as FedEx Print, and print and bind it for cheap. You can pair it with an oil for an inexpensive, yet beneficial, gift for your homesteader. Use the code TGAHFREE for a gift card towards your next purchase for yourself or another! Here’s a gift for the farmer that goat’s a sense of humor. I see hilarious mugs all the time and tell myself that if I had homesteading friends, I’d for sure gift them a mug. Actually, for a long while, I would get my family cool mugs for holidays. Eventually, it became apparent that they all had way too many mugs and I had to change my course. Never-the-less, you could gift a mug every 3-5 years and get away with it. You can also find really great t-shirts and socks! What have you gifted your homesteader companion in the past? Previous Post: « Simple Homestead Blog Hop #186 | 2 Weeks ‘Til Christmas! This is a great list, thanks so much for sharing.